It’s sort of strange when I think about it. I would never classify myself as a Clint Eastwood fan, but on the same token I can’t recall a single movie that he has appeared in that I truly loathed. At the end of each of his movies, I think to myself “Well, that was pretty good”, but afterwards I never seem to have any desire to see his next film. He’s consistently good, but I’m consistently uninterested. Maybe it’s because he’s not really an actor of my generation. I mean hell, my father grew up watching the guy. Spaghetti Westerns and all that. While I can’t deny my admiration and respect for the man as a living Hollywood legend, he’s just never meant a whole lot to me personally. Great actor – sure! That’s obvious. But an actor who is boundless and enjoyed by fans of all ages. I think not. I can’t say I dislike him as an actor because that would be a lie, but if I were asked to prepare at list of my personal top 100 actors – he wouldn’t even make my list. Clint Eastwood is a man who has been consistently busy and an actor, director, producer or what have you. They guy is all over the map. Personally I’ve never been a big western fan, so I didn’t really see a whole lot of Clint Eastwood movies aside from the stuff he did in the 70’s and 80’s. Dirty Harry, Escape from Alcatraz, that sort of stuff. In fact, one Eastwood movie I truly love is Thunderbolt and Lightfoot, a film I had never seem until about 5 years ago – and again, my main interest lay in seeing a young Jeff Bridges who obviously played seconds fiddle to the man himself. It’s was a great movie with a solid story, thoroughly enjoyable except for the shocking and equally depressing finale. Still, it’s probably not even considered to be one of Eastwood’s best pictures, but it will always be a favourite of mine. Both directed by, and starring him - Clint Eastwood’s Firefox came out in 1982, a year that featured other large and notable films like Spielberg’s: E.T. the Extra Terrestrial and Ridley Scott’s futuristic action flick: Blade Runner. Both of these films appealed more to me than at the time than Firefox did. I mean, hey! – E.T. had cool little aliens and Blade Runner had Han Solo. How could anything compete with that? Truthfully, Firefox was a little over my head. Since I was a mere 10 years old - I’ll admit I was a little too young to follow a politically strong plotline and any of the films other subtleties. This being the case, I didn’t particularly enjoy the film – basically because I didn’t know what the heck was going on during a majority of it. While I understood that the United Stated and Russia had issues at the time, there was just too much talking for me and not enough jet fighters and explosions. Firefox was simply too much for my feeble and underdeveloped mind to grasp. So here I am many years later, a little older, and almost certainly a little wiser. This being the case I figured it was about time to revisit Firefox. While I’d still prefer to be watching a Star Wars movie with Han Solo, I figured I’d probably have a much better time watching Firefox this time around and hopefully an easier time understanding of the plot – so I’ll do that instead. While I always knew the film involved a highly sophisticated jet plane, which appealed to the 10 year old in me, it also contains a serious plotline, which should hopefully appeal to the now mature, adult in me. 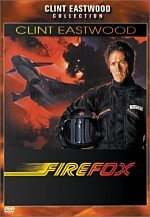 Firefox stars Clint Eastwood as Major Mitchell Gant – a former military pilot and also a seriously shell-shocked Vietnam veteran. As the film opens, Gant's simple and secluded lifestyle is interrupted when he’s visited by some uninvited air force personnel. They’ve flow to him home with hopes of dragging him out of retirement for one last mission. Why him you ask? Well, because he’s only the greatest pilot walking the earth, that’s why. The mission objective is simple: Steal Russia’s highly sophisticated and incredibly lethal fighter jet – The Mig-31. Codenamed: Firefox. The problems for Gant don’t’ lie in flying the jet, but in infiltrating the Soviet Union and reaching the plane in one piece. Sure he’s one of the best pilots the United States has to offer, but intelligence and espionage aren’t exactly his forte – and because of this, much of the film involves Gant somewhat clumsily working his way through Russian security. 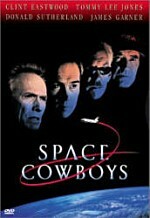 Throughout the film Gant assumes several identities and does his best to avoid the security forces of the KGB. Wearing disguises and continuously presenting his falsified papers for the people he’s impersonating. Russia in the 80’s wasn’t exactly the kind of place you visited to kill off your holiday time and naturally there is great suspicion about Gant’s reasons for visiting the country. Much of the film centers on Gant’s uncertainty over the people that are supposed to be his contacts. He’s often forced to place trust in a person he hardly knows and follow their instructions to the letter. Still, everything is on the up and up, and everything he goes through serves to get him one step closer to his final objective of the Firefox. At times the film could be rather suspenseful. 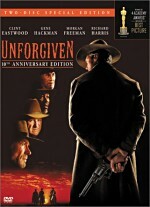 Eastwood’s character of Gant is forever on the verge of being capture, but luck saves him time and time again. In truth, while the build up before the eventual theft of the plane was rather good, the length of the wait involved led to thoughts of - “come on, just steal the damn plane already”. Sure, everything in the film served its purpose and helped to flesh out the story, but I was growing impatient and just wanted to get to the hanger. After waiting nearly 90 minutes to see it, Gant finally manages to infiltrate the top secret hanger and steal the plane. However, the movie doesn’t end there. Since the plane has a limited flight range, he has to refuel the jet on route out of the Soviet Union. Unfortunately, even a stealth capable jet, able to fly a mach 6 has difficulties escaping so easily. Enemy surface to air missiles and enemy jets try their best to stop him – try and fail of course. The acting in the film was top-notch all across the board. 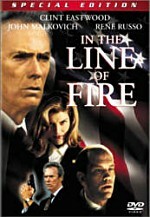 Eastwood did an excellent job of portraying the slightly paranoid, yet confident Mitchell Gant. In conjunction with the cast of great supporting characters, the film succeeds quite well at representing the state of the Soviet Union at that time. You constantly feel grateful of the fact that you don’t live there, as it’s high security is enough to make even the locals feels uncomfortable. As for the Firefox itself, it was a pretty impressive looking jet, even if entirely fictional. The special effects, used to portray its flight, while a little outdated by today’s standards, still held up rather well. In fact, the only problem I had with the jet was the limited amount of action that accompanied it. Aerial dogfights were pretty much none existent – and those hoping to see Eastwood rip up the skies and blow tons of enemy bogies away will be sorely disappointed. One has to keep in mind, that Firefox is more of a drama than an action movie – and while there is indeed some action, it pretty much plays second fiddle to the plot. In the end I found the film to be rather engaging. While it did drag a little at times, the positive aspects of the film far outweighed the bad. In fact, my only true disappointed with the film came from the rather abrupt ending. The film makers, didn’t seem to worry about how long the film was running near the middle, but at the end, it just stops. No bravado, no kudos to Gant for a job well done, he just flies out of Soviet airspace and the credits role. I guess I was just hoping for a little more fanfare. After watching the movie for nearly 2.5 hrs, I saw the ending as very anti-climactic. Tons of build-up with very little payoff. Still, as a whole I enjoyed the film. While it starts off rather slow, it eventually managed to capture my interest and keep it - even during the slower points. Truth be told, the jet itself is one of the main reasons people will choose to watch this film. Sure, there will be moments when you might be tempted to turn the movie off, but you probably won’t. The thing about Firefox is that by the time Gant reaches the jet, you’ve invested so much time in the viewing that it would be pointless to not hang with it until the conclusion. Even if the jet’s eventual arrival isn’t as thrilling as you hoped it would be – its not all that bad either. Overall it’s a decent flick, but not without some level of disappointment. Will I ever watch the film again? Yeah, probably, but not until a chunk of time has elapsed and the film feels somewhat fresh again. The Firefox DVD is presented in its original theatrical aspect ratio of approximately 2.35:1 – it has also been enhanced for 16x9 TV’s. As is often the case with movies from the 80’s, I’ve pretty much come to expect a certain level of video defects. While huge 80’s hits like E.T. get cleaned up a little more than most films, Firefox is no better or worse than a majority of movies from that time. As expected the picture is reasonably clean and crisp throughout most of the presentation, but gets a little fuzzy and grainy during a few of the films exterior shots. This problem is unsurprisingly much more noticeable during night time scenes. Firefox also suffers from a great deal of nicks and scratches. While this was expected, it was a little more noticeable than in some other films I’ve seen from that era. Fortunately, I didn’t find this problem to really draw me away from my enjoyment of the film. Other video problems, in particular this odd blue glow that seemed to emanate from the left and right edges of the image were certainly obvious, but not wholly distracting. However, to say that they weren’t noticeable at all would be a falsehood. Many of the film’s video problems appeared very early on in the film and largely remained for my entire viewing. Even though the picture isn’t perfect, it still looks good a majority of the time. In fact, I probably make the film sound much worse than it actually is. Truth is, I was so wrapped up in the film itself, that after a time I was able to completely looks past it’s few imperfections and simply enjoy the movie for what it was. Still, the truth is the truth – and the score I give the video quality in Firefox must reflect the facts as I saw them. While not originally in theatres this way, Firefox comes with a newly enhanced Dolby Digital 5.1 soundtrack. Truth be told I wasn’t expecting much from it. While a great deal of older films will boast about having 5.1 – I often find much of the sound still seems to hang largely in the front speakers. You’ll occasionally get a little music out of the back, or a truck driving by, but largely these newly created 5.1 tracks fail to impress. In the case of Firefox, I was a little surprised with the quality of the job that was done. While not going continuously, the rear surrounds were very active, in fact, far more active than I anticipated they would be. The opening scenes of the film, with the military helicopter landing on Gant’s property impressed me right from the start. The *whoop – whoop – whoop* of the helicopters blades slicing through the air seemed to fill my living room with sound. Later in the film when we got to see some jets in action, they do super sonic flybys that send a healthy roar travelling from left to right, and visa versa. It was far more exciting than I expected – and I was pleasantly surprised at every turn. Even the music in the film used all five speakers and the sub to its advantage. Now if they could only have done something with the dated and slightly edgy voices – it would have been nearly perfect. While this particular 5.1 track can’t hold a candle to newer movies, it’s still managed to breath a great deal and life into this 20 year old film. Next we get the only special feature of any real value. A 29 minute and 57 second documentary called Clint Eastwood – Director. This segments focuses exclusively on Clint Eastwood and his career. In fact it has very little to do with Firefox at all. The only thing that links this piece to the film is the fact that it was originally recorded during the films production. So those hoping to see some behind the scenes footage on the making of the film will probably be a little disappointed. Eastwood is interviewed by Iain Johnstone who talks to Clint about everything from the movies roles he’s taken in the past and might regret, like Every Which Way But Loose and Bronco Billy to what it’s like to be both the starring actor and the director of a film project. While no real footage is shown, we also hear from Eastwood about what it was like to have John Dykstra work on the film – a man who was responsible for many of the special effects seen in Star Wars. It’s somewhat humorous to hear him talk about the difficulty involved in some shots, especially in light of the advances we’ve made in films today. Oddly enough, it’s not surprising to hear about Dykstra’s involvement, especially when you first see the Firefox in action and realize how similar it looks to the Snow Speeders flying over Hoth during the Empire Strikes Back. During this feature we also get to see the unveiling of the film during it’s premiere in Washington D.C. It’s a strange thing to see, since it’s not a very flamboyant affair and a majority of the audience is made up of military professionals. While this addition to the DVD didn’t offer a lot of information on the making of the film, and showed virtually no behind the scenes footage, it was still fairly enjoyable. It centres primarily on Eastwood and truly offers some great insight on the man. Last up on the disc we get the Theatrical Trailer. In the end, I was glad that after nearly 20 years since I first saw it, I was willing to give the film another look. Firefox, while not one of Clint Eastwood’s best films, still offered a tense and suspenseful ride for most of my viewing. It does suffer a bit due to its abrupt and anti-climactic ending, but managed to hold my interests very well a majority of the time. The DVD itself has many pros and cons. While the picture quality is noticeably flawed, it still remained largely watchable. Couple the films acceptable picture with the surprisingly active 5.1 audio track - and new excitement is instantly bread into this aging flick. Unfortunately the special features left very little positive impact on me. While the feature on Eastwood was fairly enjoyable, it has very little to do with Firefox. Still, some special features are better than nothing. Also, if you take into account the films low retail price, Firefox is a film most Clint Eastwood fans are sure to eagerly seek out. If you’re like myself, and neither love nor hate Eastwood, then do yourself a favour and give the film a rental. You might be surprised by how well the film holds up over the years, despite the now inaccurate portrayal of the Soviet Union. It’s not something worth owing for most people, but it’s certainly worth a peek.